Want to learn about our network? Interested in sharing your news, or even your story? 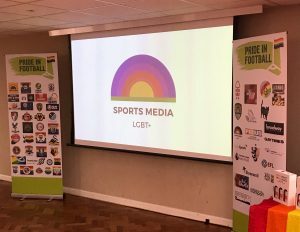 Sports Media LGBT+ was launched in November 2017. 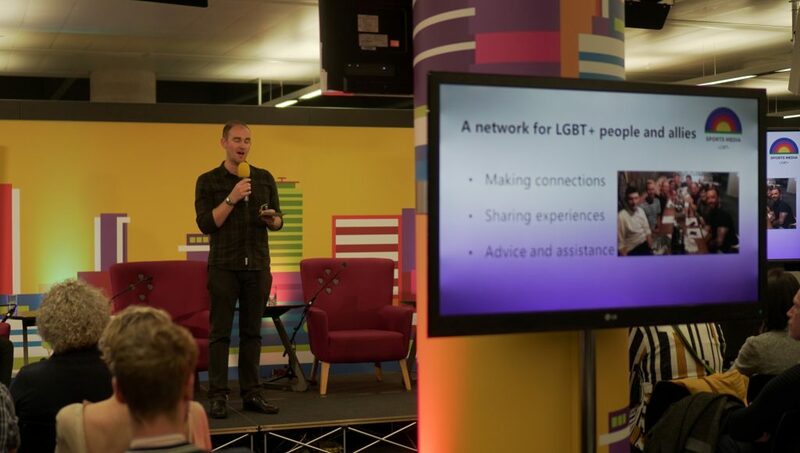 We’re actively encouraging anyone who is working in a sports media role and who is LGBT+ to connect with us. Learn more about the background to the group. One of our main objectives is to help amplify the voices of LGBT+ people at all levels of sport, to show how authenticity boosts performance, and to demonstrate the benefits of an inclusive environment. Looking for LGBT sports content? Check out our Recommended page! We want to work with you – whether it’s content that helps raise the profile of your team or club; sharing a powerful story that can inspire others; or partnering on an event. Email our network lead Jon Holmes in confidence at jon@sportsmedialgbt.com. We’re also keen to build professional relationships across both the wider sports and media industries, and collaborate with individuals and organisations that have similar goals to our own. Check out some of our connections here. On all matters, we naturally value the contributions of allies – people who aren’t LGBT+ themselves, but are supportive of diversity and inclusion initiatives. And if you’re not already working in sports media in some shape or form, but it’s a profession you’d like to pursue – and you’re LGBT+ or an ally – you’d be welcome as a member of our network too. For general enquiries, email info@sportsmedialgbt.com to get in touch, or use the contact form below. We also operate a popular mailing list, which currently has over 300 recipients. We communicate via occasional meet-ups and get-togethers, through social media on Twitter and Facebook, and via approval-required groups on LinkedIn, Facebook (‘Members’) and WhatsApp. If you’re interested in joining either of the last three groups, please request by email.